BLACKHAWK! Sportster Adjustable Bipod, Pivot and Traverse, 13.5" - 23"
The advanced shooters mat provides padded protection with foldout elbow wings and optional use side wings. Includes a zippered sewn-in data book pocket with pen holder and several rows of MOLLE for ambidextrous use of ammo pouches with quick access. The mat has non skid material in the elbow area so it doesn't shift and your elbows stay in place. The front protects the shooter and rifle from debris. 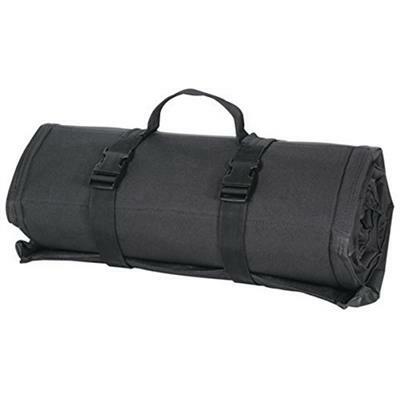 Easy roll-up with adjustable straps with quick release buckles. Extra end "E" buckles to attach to your pack.Measures 72" x 48" at the widest point. Rolls up to 10" x 20".